I just couldn't stand the thought of not doing any sort of Easter post, but I really didn't have time to write one since I am playing host to the family this week. What to do? I figured I'd dust off an Easter post from a previous year. What is it they used to say about reruns on TV? If you haven't read it, it is new to you! With that in mind, you'll find links to my last three Easter posts below. Happy dead Jesus hanging on a stick day! 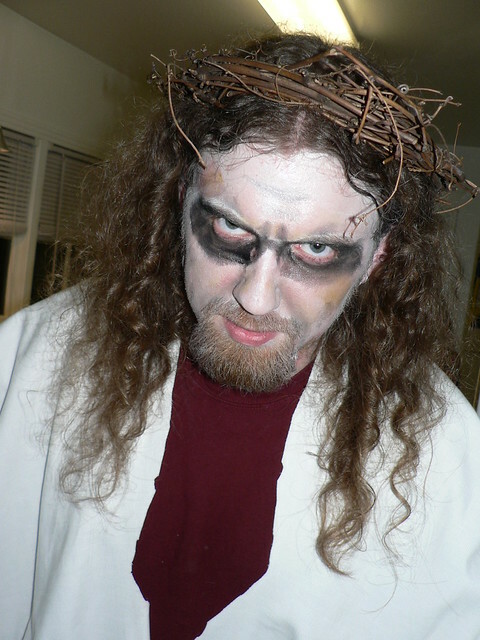 Happy zombie Jesus day! Hell, just have a good day. While I am somewhat bummed that I didn't have time to write an original post for this year, it really isn't a holiday that deserves much comment. Besides, something tells me that others in the atheist blogosphere will cover it thoroughly.